Bespoke – made up envelopes to customer requirements. Not available from stock. GSM – the weight of the paper, measured in g/m2. Gummed – sealing method that requires moistening to seal. Gusset – an envelope with expandable sides. 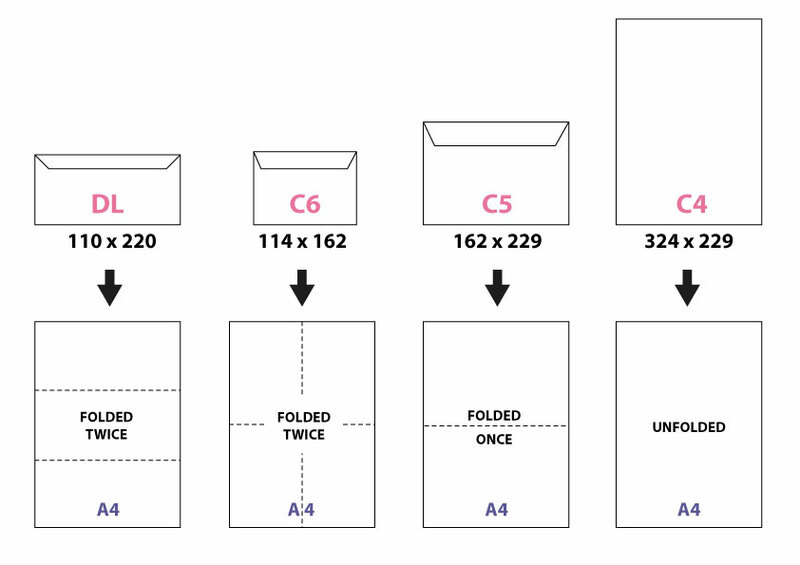 Mailing wallet / machinable – envelope for use on an inserting/mailing machine. Opaque – printed colour wash inside envelopes (usually for security reasons). Peel and seal – sealing method with a peel off strip. Pocket – envelopes with the flap on the short edge. Recycled – envelopes made from post-consumer waste. Self seal – sealing method where the two flaps are pressed together to form an instant bond. Wallet – envelopes with the flap on the long edge.